Responsible for diverting water from your roof and away from your home, gutters are your first line of defense against water damage to your property. Gutters tend not to be at the front of the mind when it comes to caring for your home, but if left forgotten, broken or clogged gutters can cause multiple issues. Because a gutter’s main role is to channel water away from your home, if there’s a blockage in that system, the water has to go somewhere else – over the edges of the gutter. Overflowing gutters can cause water to pool around the foundation of your home, ultimately creating an environment conducive to mold. 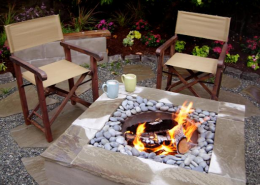 Even worse, should the water freeze, it could cause cracks in the foundation, threatening a potential collapse if left unnoticed or untreated. Overflowing water, undoubtedly the biggest concern with unkempt gutters, can trickle down your siding before pooling by the foundation, causing wood damage and a great risk of ice dams in the wintertime. 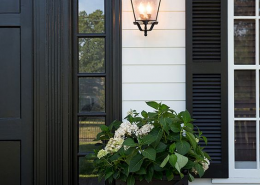 If you have any flower beds lining the side of your home, gutter blockages can lead to over-watering and erosion, ultimately diminishing the curb appeal of your home. If a blockage causes standing water in your gutters, you can expect mosquitos and other insects being attracted to the site. Even if your gutters do not have a blockage, a nice bed of leaves built up in your gutters looks awfully inviting for small, unwanted pests. When gutters are blocked, your foundation isn’t the only thing that can suffer from water damage. 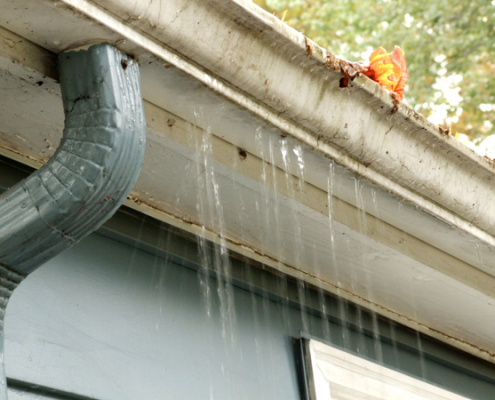 Water overflow can affect the components that make up the gutter itself. 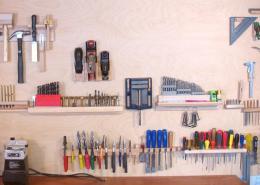 The fascia – the board that runs behind your gutter – can weaken. Even if they are draining properly, gutters left uncleaned can hold excess debris, increasing the weight of the gutter and causing strain on the brackets. 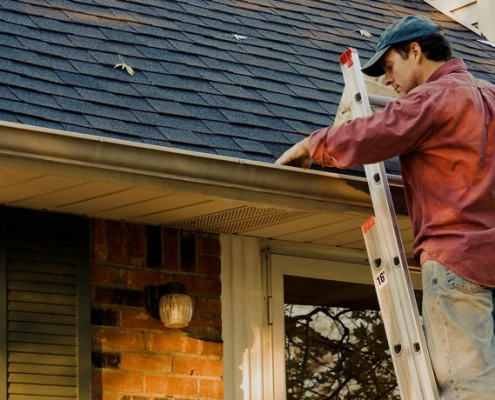 While cleaning gutters seems straightforward, many people don’t have the proper equipment, expertise, or time to commit to gutter maintenance. It’s best to leave it to the professionals to ensure your gutters get the best maintenance and preventative care. If cleaning out your gutters regularly sounds overwhelming, you can easily reduce the amount of maintenance by installing gutter guards as a preventative measure against debris buildup and blockage. Gutter guards protect your gutters and your home by keeping your gutters free of leaves and sticks – and they are very low-maintenance! 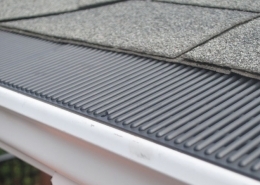 Not all gutter guards are created equal. Look for guards that can withstand heavy storms, hot climates, and cold winters with ease, such as the Raindrop® Gutter Guard. While it’s not the first thing on your mind as a homeowner, it’s clear that gutters are very important. Keep water, pests, and worry away and maintain your gutters regularly. 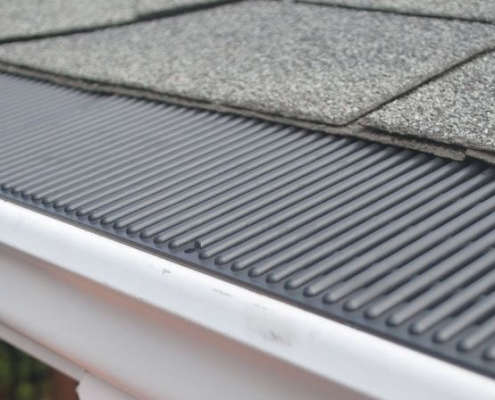 Invest in quality installation and maintenance, and consider a gutter guard, which can help prevent future problems. 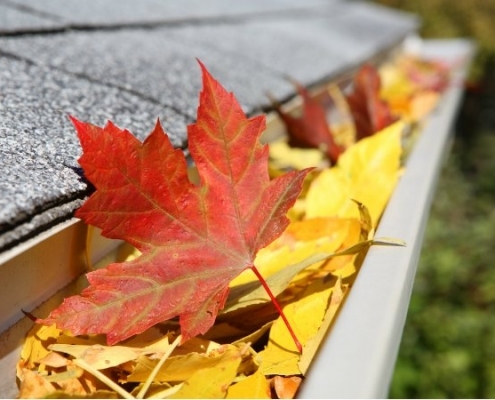 With autumn just around the corner and plenty of leaves ready to fall, planning your next gutter maintenance inspection can help prevent future damages to your home.